Belotić (Serbian Cyrillic: Белотић) or Mačvanski Belotić (Serbian Cyrillic: Мачвански Белотић) is a village in Serbia. It is situated in the Bogatić municipality, in the Mačva District. The village has a Serb ethnic majority and the population numbered 1,744 people in a 2002 census. Wikimedia Commons has media related to Belotić (Bogatić). 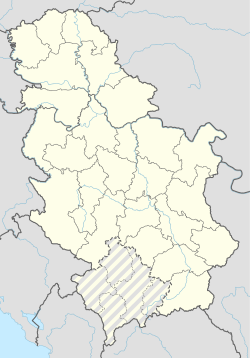 This Mačva District, Serbia location article is a stub. You can help Wikipedia by expanding it. This page was last edited on 13 March 2017, at 06:46 (UTC).